....before the busy build up to Christmas. and I haven't done that for a few years! vintage style decorations and chat all day long.....that's the plan..
Ooh....looking forward to that one too! I have to say I was unaware of purple carrots until now.. 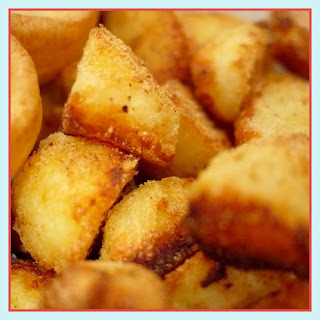 I was very happy to try them....wonderfully sweet and crunchy. Thank you Abel and Cole! and definitely one of the best Christmas presents I could have! If you have never visited their site here is the link..
and there are also lots of wonderful and inspiring recipes for you to try..
going on around here too! ... just how I like it! They are all ready to be knitted for up for my photographs. maybe it's time for a little Yarny Giveaway? and I will meet you back here next week! 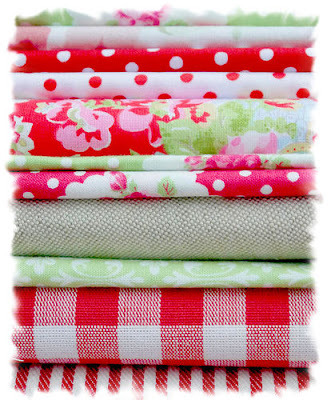 I love pretty fabrics, don't you? I cannot WAIT to see your new pattern - with icecream colours if I recall. I could go on but I wouldn't want you to fall asleep. Be sure I shall tune in next week as soon as I smell a whiff of your giveaway. Have a wonderful week dreaming about Christmas. 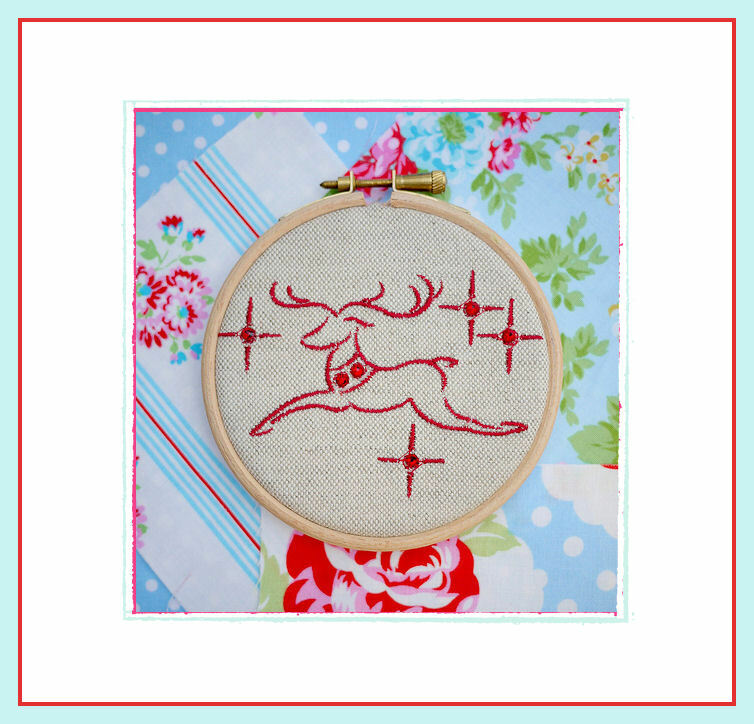 Your little embroideries are so beautiful Susan, they will be lovely sitting above your fireplace! Nice to have some cosy crafting planned with your girls! I am so looking forward to seeing your new pattern! 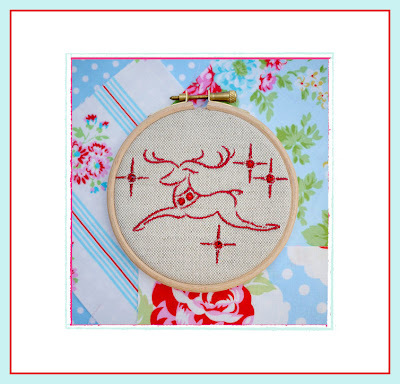 Your hoop embroideries are beautiful and sure to put some sparkle in your festive decorating, love your list of things you are looking forward to this autumn and coming winter, it all sounds perfectly perfect. I'm working on some Christmas cross stitch while waiting for my hand to feel better. I can;t wait to see the new knitting pattern. Oh, Susan, you are so lovely and calm before the holiday rush -- I envy you! Your embroidery is lovely! A day of crafting with your girls sounds heavenly. 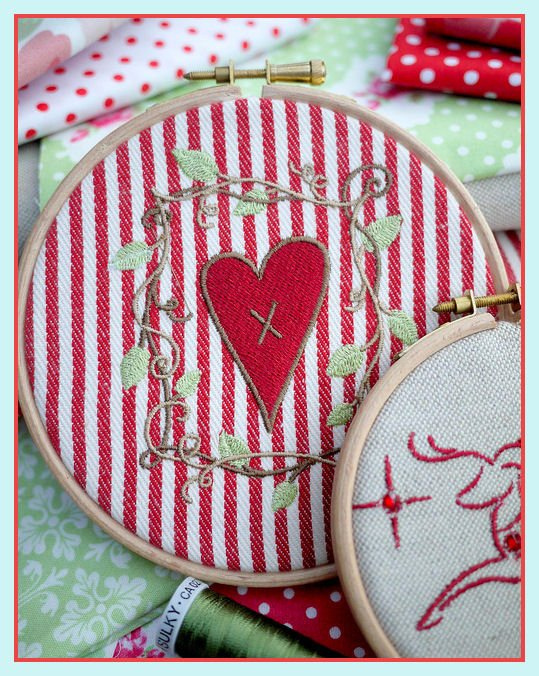 Ah, Susan, I love your embroidery so much, that red heart on the striped fabric is amazingly darling. A lovely post in pictures and words. WOW is this a fabulous treat to meet yet another beautiful Brit!!!! SUSAN, PURPLE CARROTS? I have never heard of them, ever! Well, out here in the U.S.A. our best organic farms may carry them, but this is sure a surprise. Your crafts, your blog look and your kind comment tonight have given me a charge. As I sit here at 7:30pm looking out my window by my fireside, I see the starry night by which you came, and a full moon to light up the sky. This post is like a rich bowl of hearty soup and has warmed up my gloomy end of autumn day. Loving the stitching and looking forward to that new pattern! Oh i just love your pretty embroideries, so festive. Sounds like a great crafting fun time ahead for you & your girls, love family time like that. Lots of soups & stews on the go here too YUM!!! Love the little embroideries, very pretty on that fabric too. Oh the joys of delivered food, I still get a thrill for getting the groceries brought to my door from the supermarket, small things please me I guess!Beats battling around the shops any day :-) I have never seen purple carrots before but they are a lovely colour! Susan! that is SO SWEET you put me as Lola's Blog of the week !! Thank you I appreciate the support. Your autumn box looks SO good. Not to mention your sprightly deer and heart. 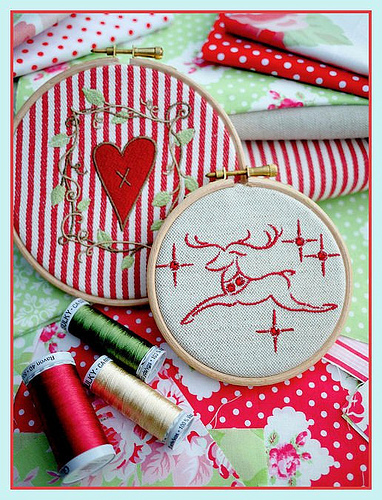 I love your embroideries Susan ~ I bought some Christmasy fabric to-day at the Knitting & Stithing show in Dublin can't wait to start on some more Christmasy projects!!!! Looking forward to you new pattern but maybe I should try & work on the others I have bought from you first lol!!!!!!! 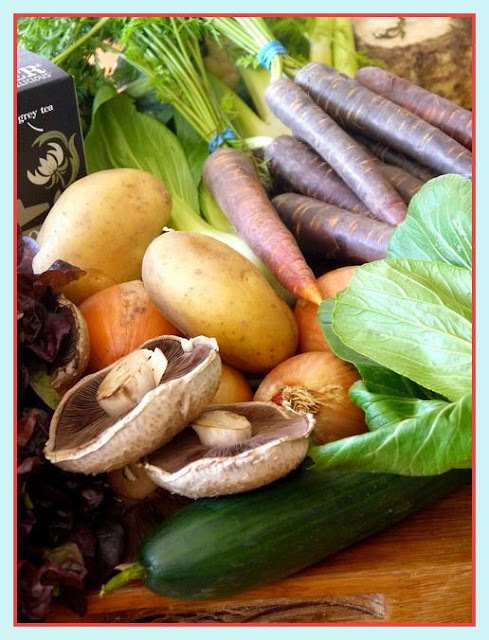 Your Christmas crafting looks great - you've been very busy :-) I've never seen purple carrots up our way, they look very different. I go between making a Christmas cake one year to buying one the next - everyone in the house says the home made one is so much nicer, you've inspired me to make one this year. Such loveliness here, you have been busy. A day crafting with the family sounds so wonderful, I hope you have fun. I've been trying to teach my little girl to knit today. I'm only learning myself and she was finding it so hard so I hope I haven't put her off. We shall see .. Hoping you've had a great weekend .. oh and thank you SO much for your comment on my shirt, I do appreciate it Susan.